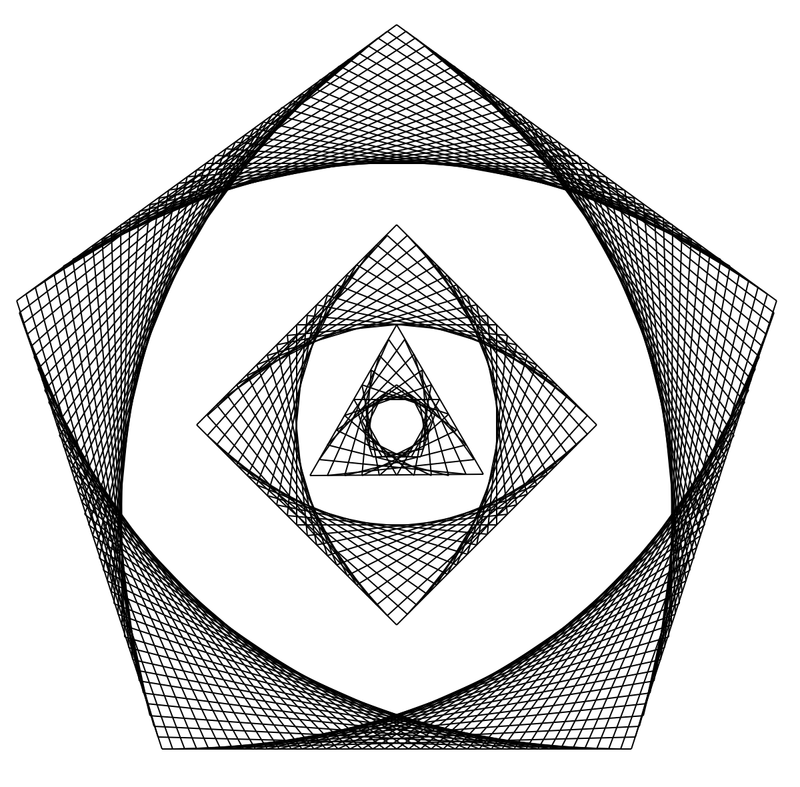 Drawing geometric figures - the result of airplane travel. 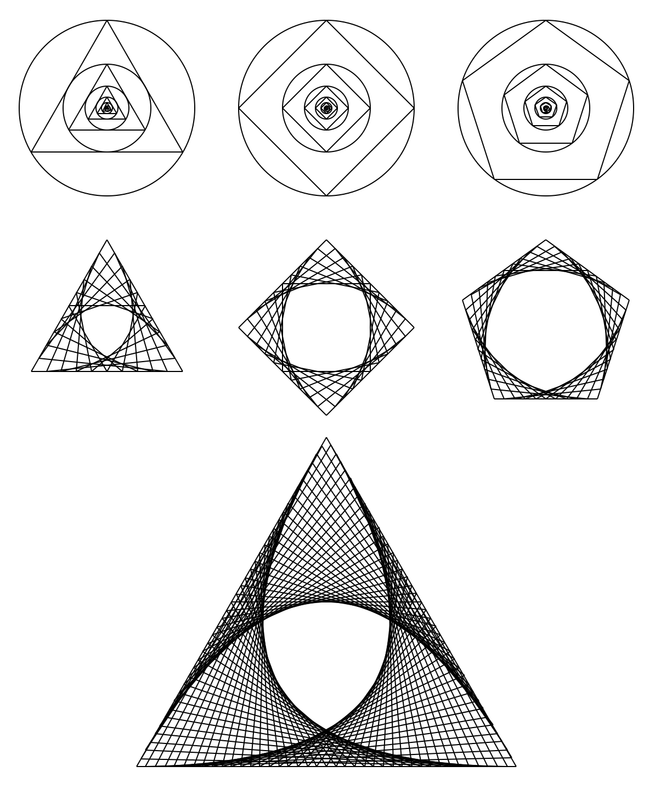 The example script shows the use of canvas and geometric figues (regular, convex polygons) with different number of edges based on trigonometric functions. Class Canvas is a simple convenience wrapper for the tk canvas, which packs itself. Class Inscribe draws multiple n-tangles with the came center point. Draw either one larger figure with inner figures or a series of smaller figures next to each other.